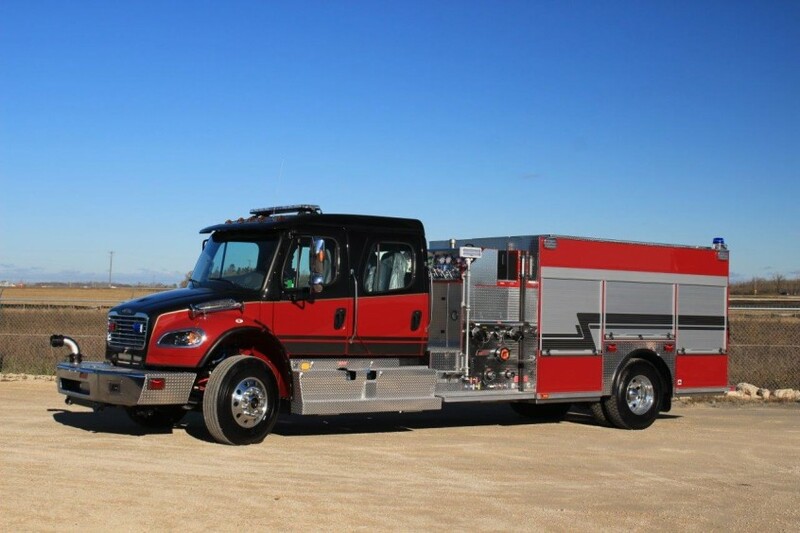 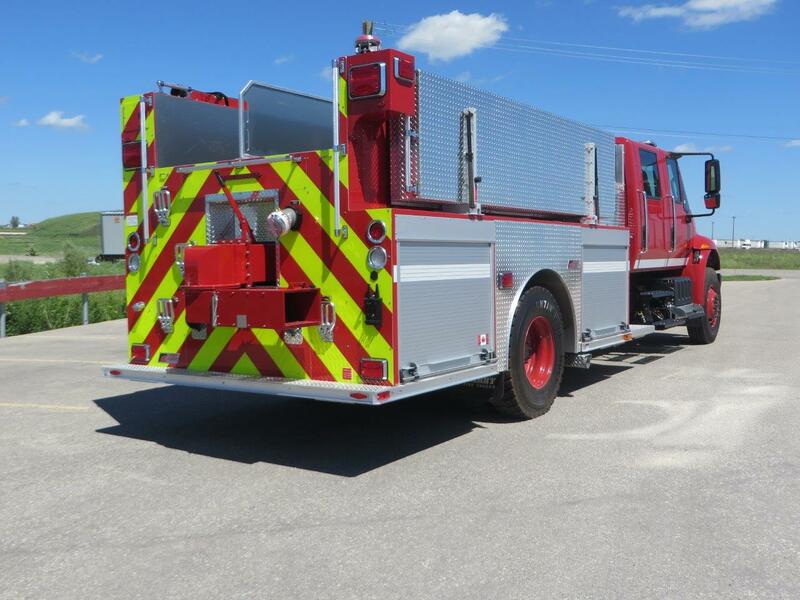 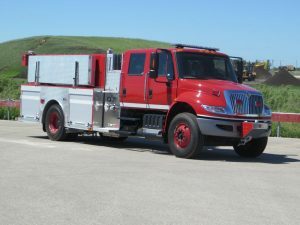 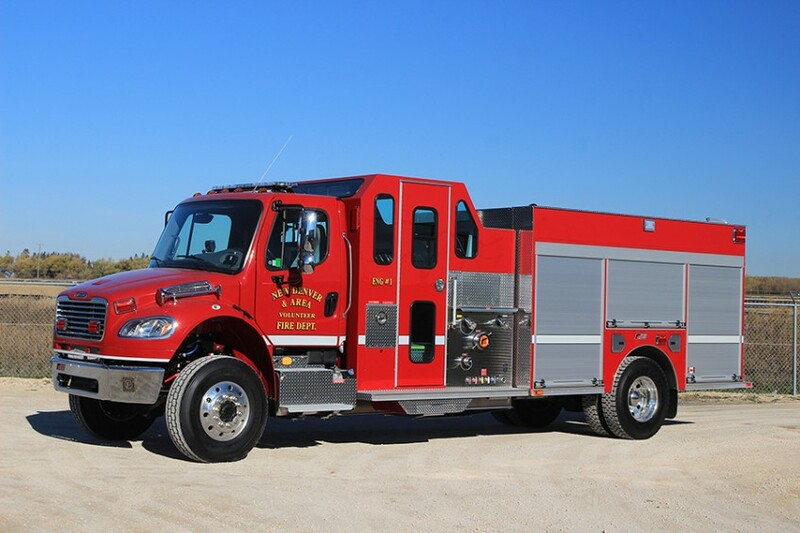 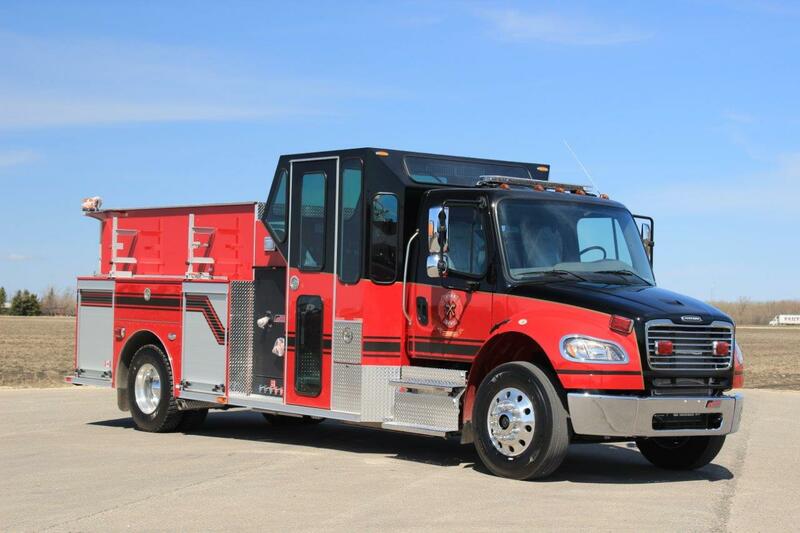 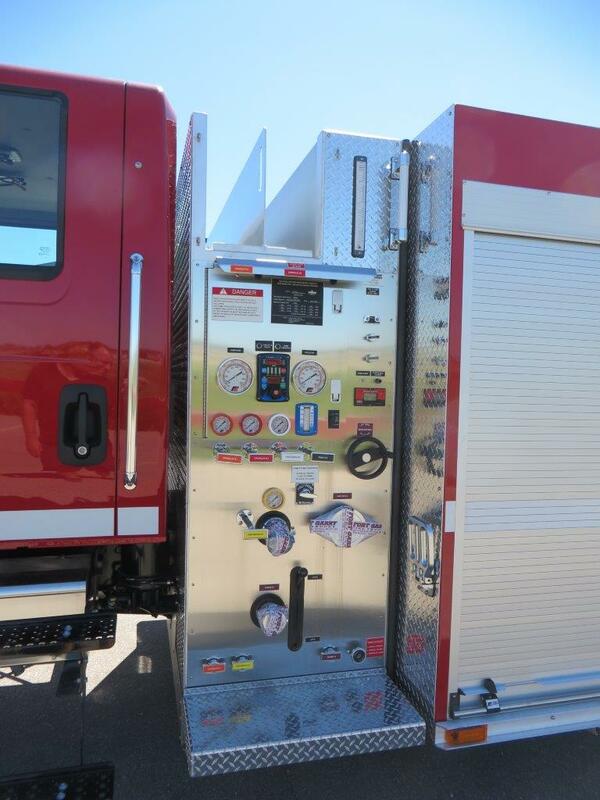 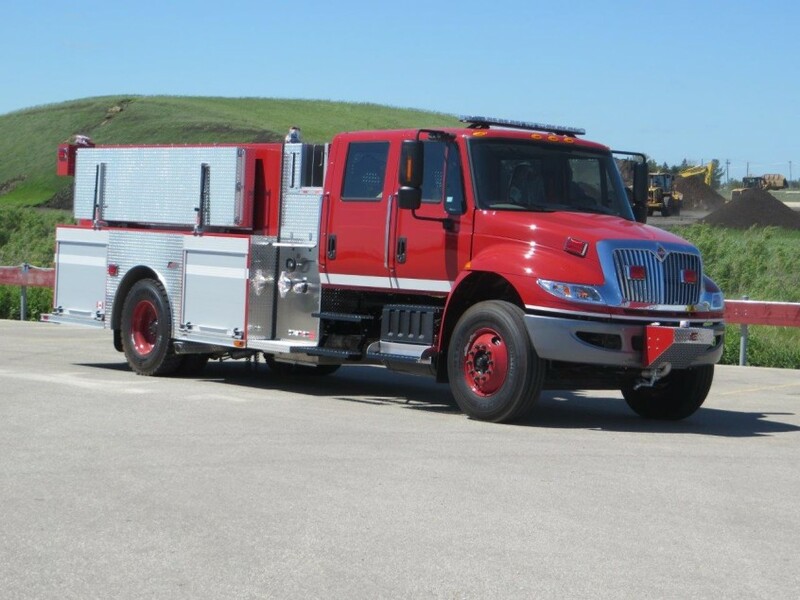 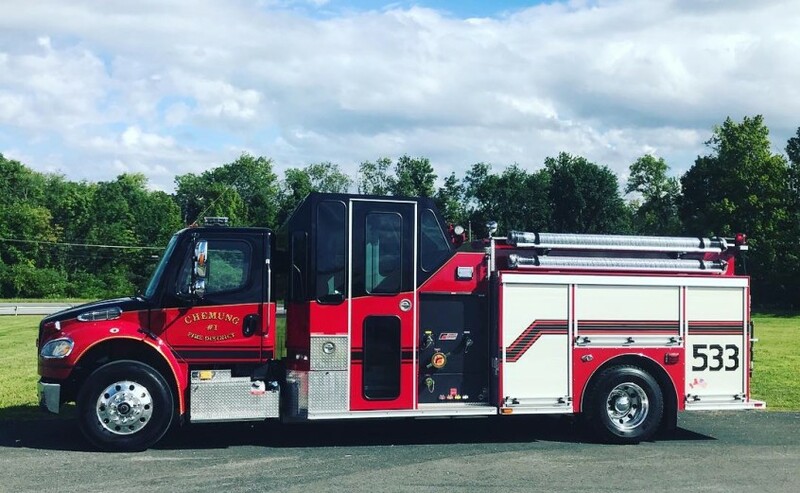 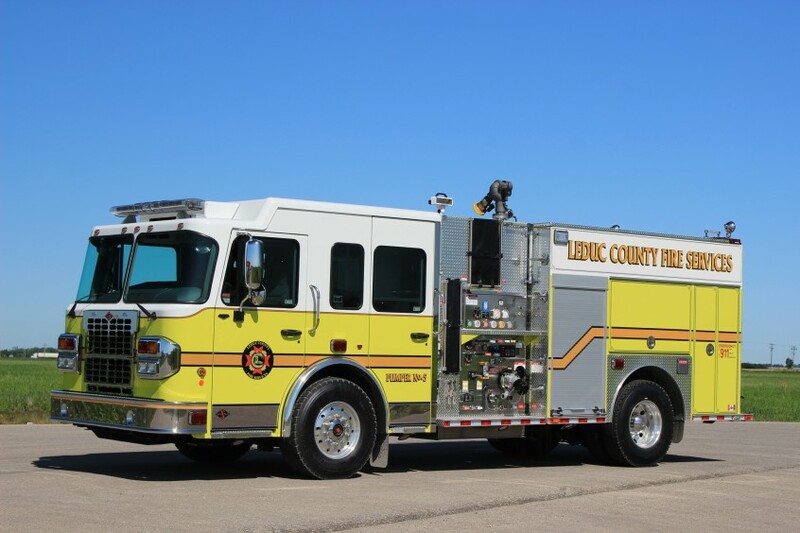 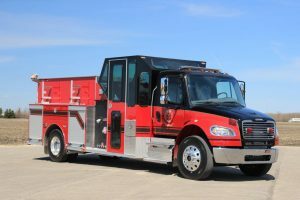 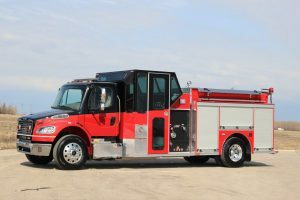 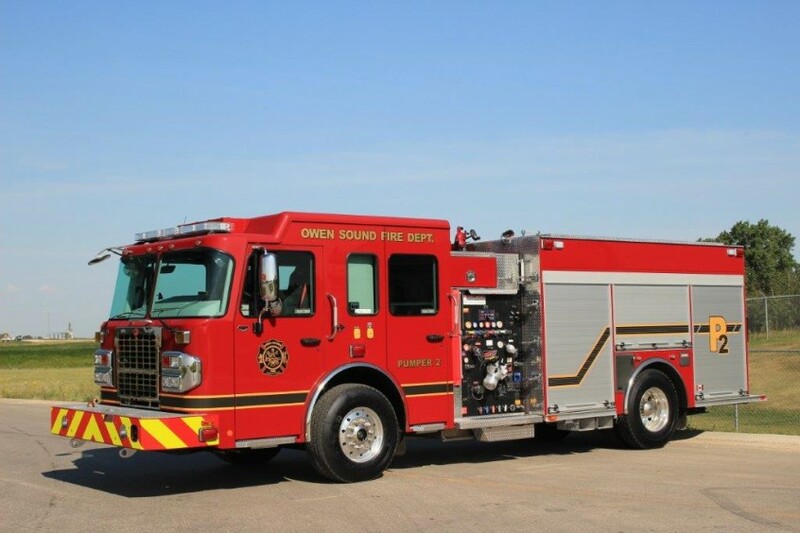 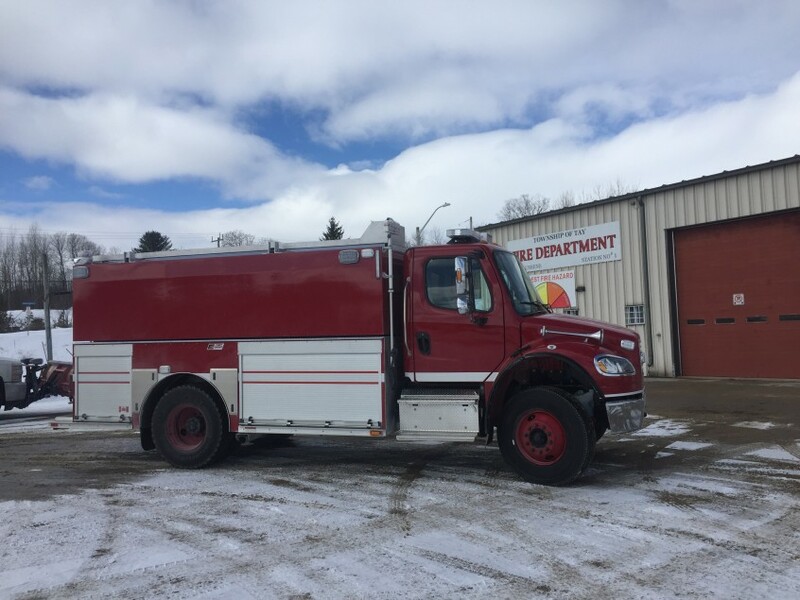 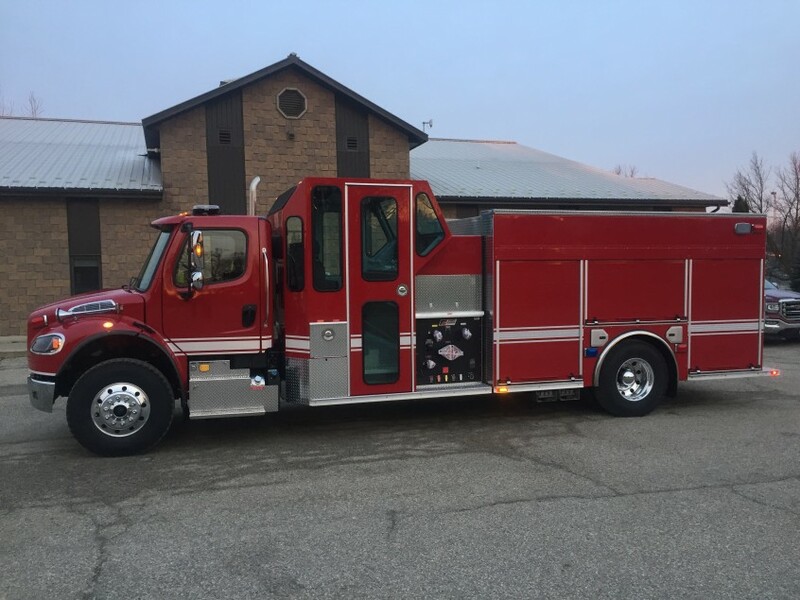 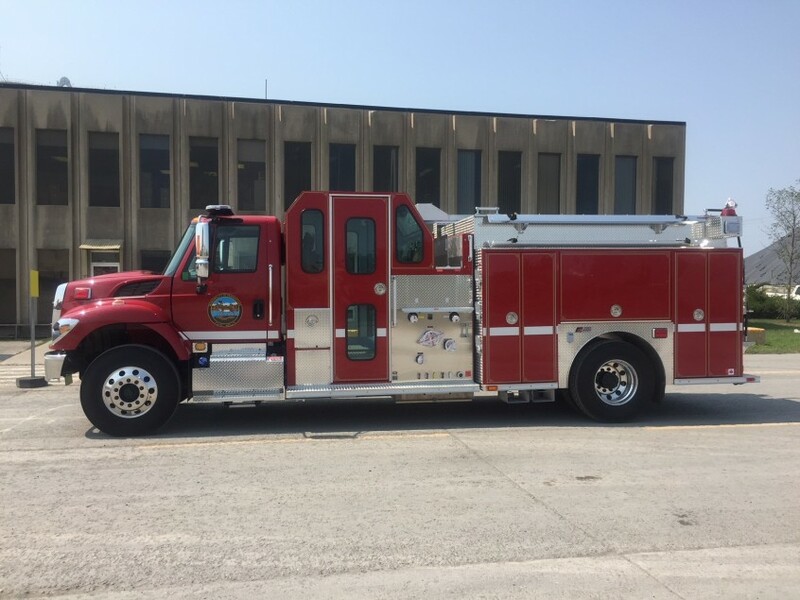 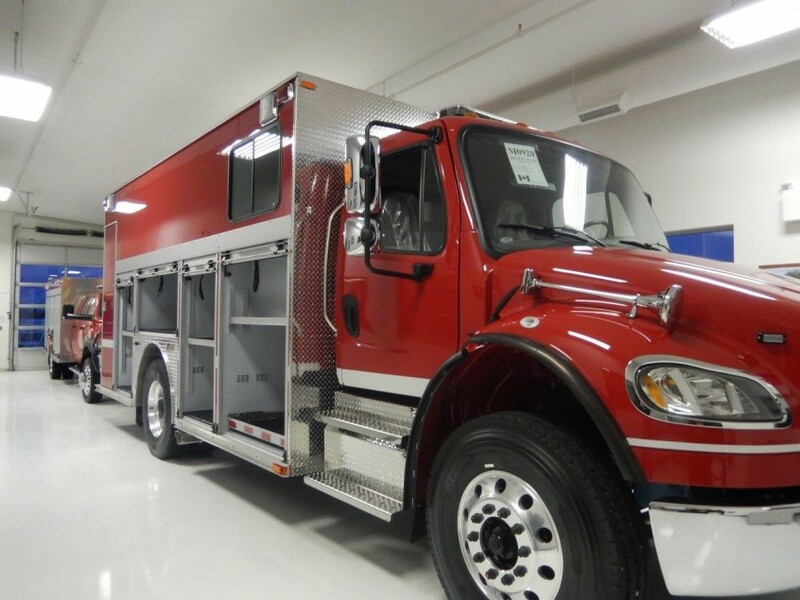 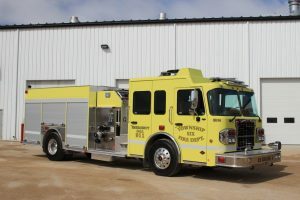 Features: Kussmaul Pump Plus, Side Control , Pump House Heater, Newton Dump Chute, Ladder Rack & Hard Suction Rack, Federal Signal Lighting Package. 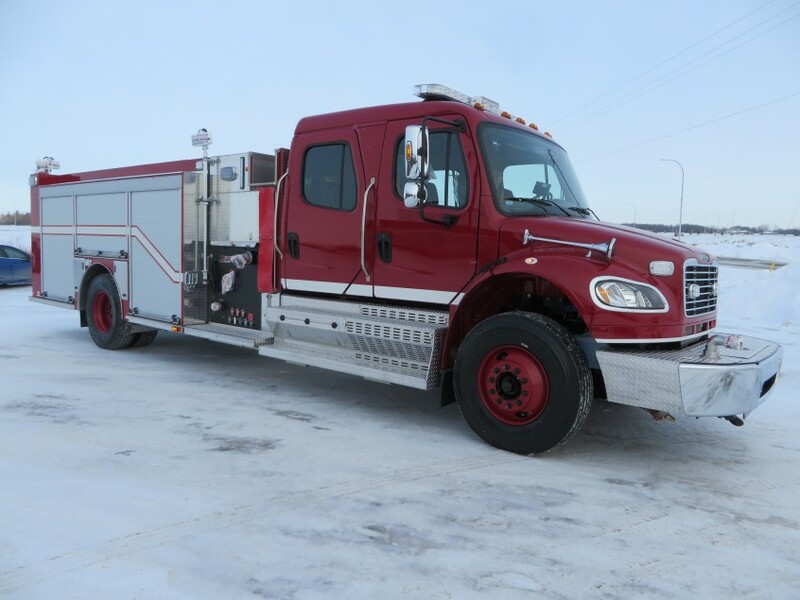 Trucks were delivered to Arviat NT & Pangnirtung NT. 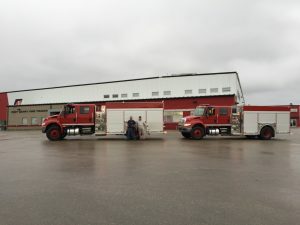 Hanson Construction is the Northern Partner. Shipping was through the port at Montreal QC. 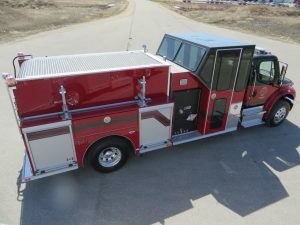 Features: Hale DSD1250 with electric Master Intake Valves, Akron ball valves, Foam Pro 2001,TFT Protector monitor, Whelen Emergency lighting package, FRC push up scene lights, Hannay hose reel in under chassis step compartment, Zico hydraulic overhead ladder rack, Go Lights on chassis roof. Features: Portable pump CET PFP-20hpKHL-2D, Whelen Emergency Warning light package, FRC Spectra push up lights, Amdor roll up doors, Internal Suction Hose and Portatank storage. 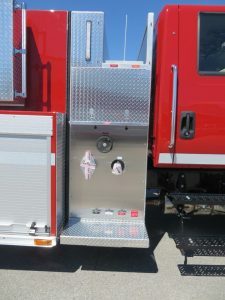 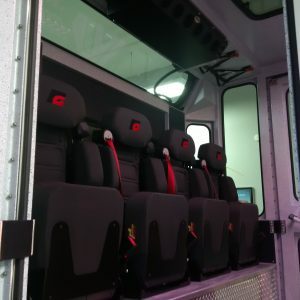 Features: Side Control Pump house, Waterous CSU1250 with Akron valves, Two 1.5″ ergonomic speed lay pre-connects aand one 2.5″ cross lay pre-connect, Akron Mercury Quick Attack Monitor, FoamPro 1600 foam system, 800 imperial gallon water tank, Whelen Emergency Warning light package, FRC Spectra push up lights, Whelen PFP2 Brow light in light bar, Rear View Systems back up camera, Amdor roll up doors Internal Ladder and Suction Hose storage. 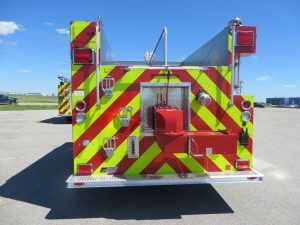 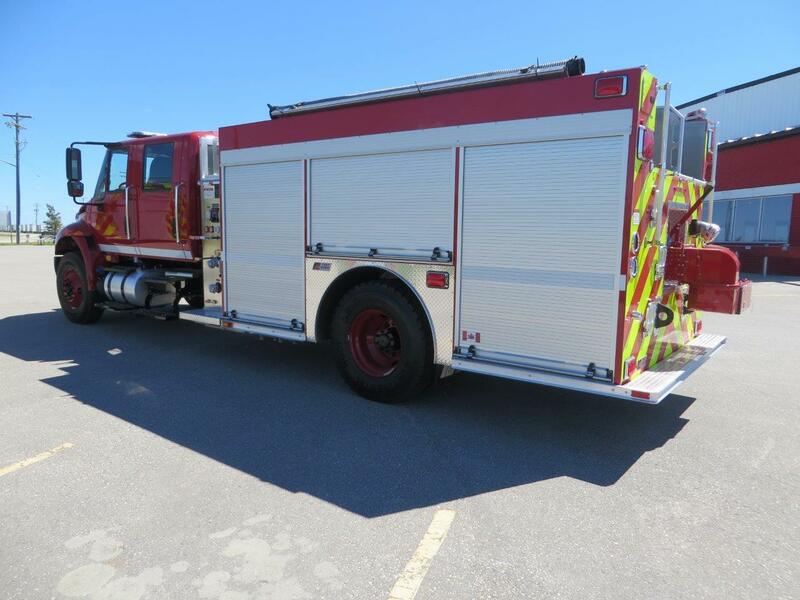 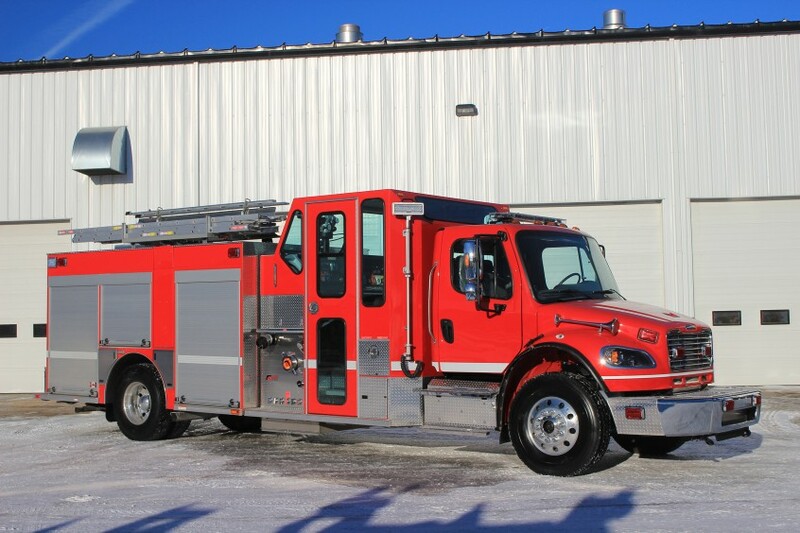 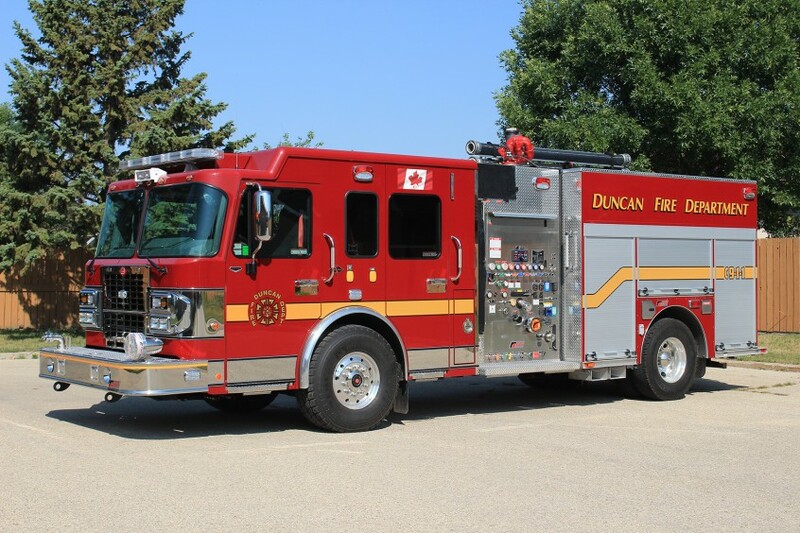 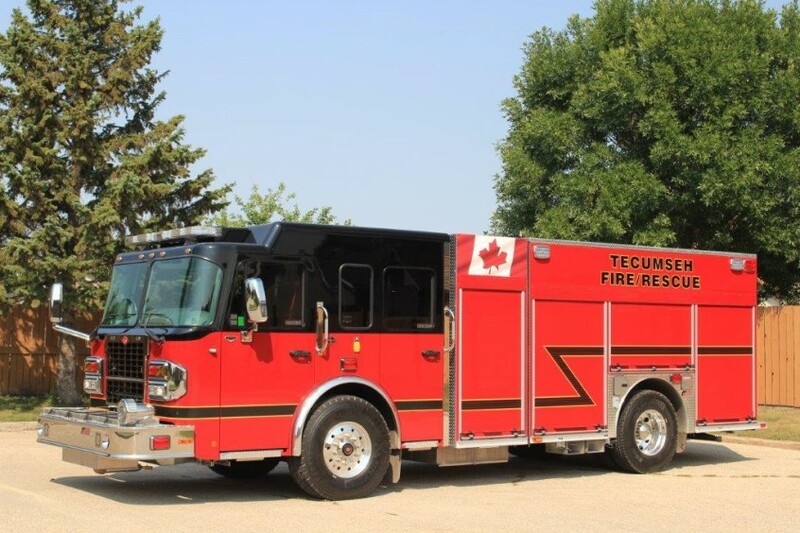 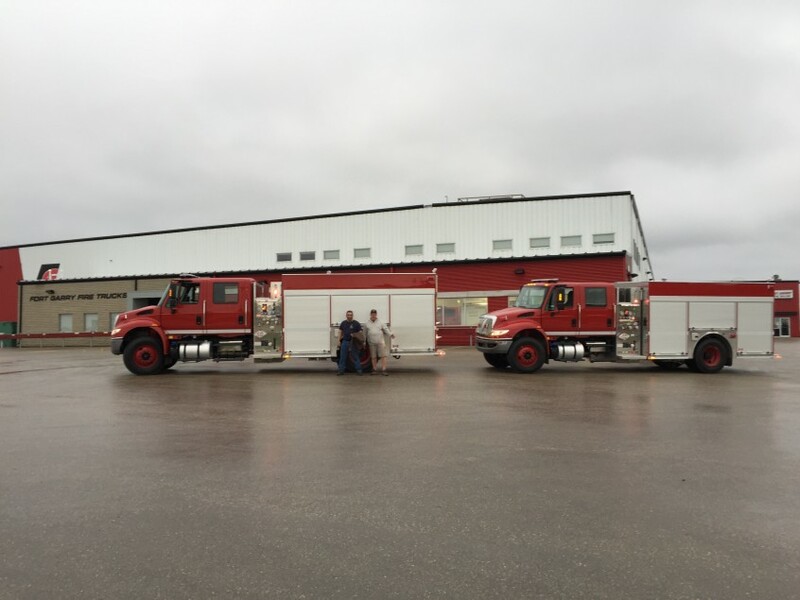 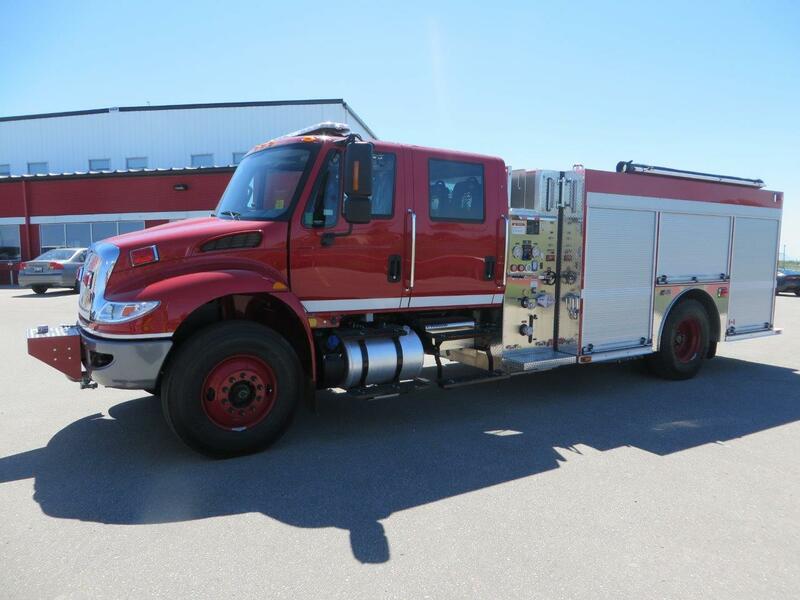 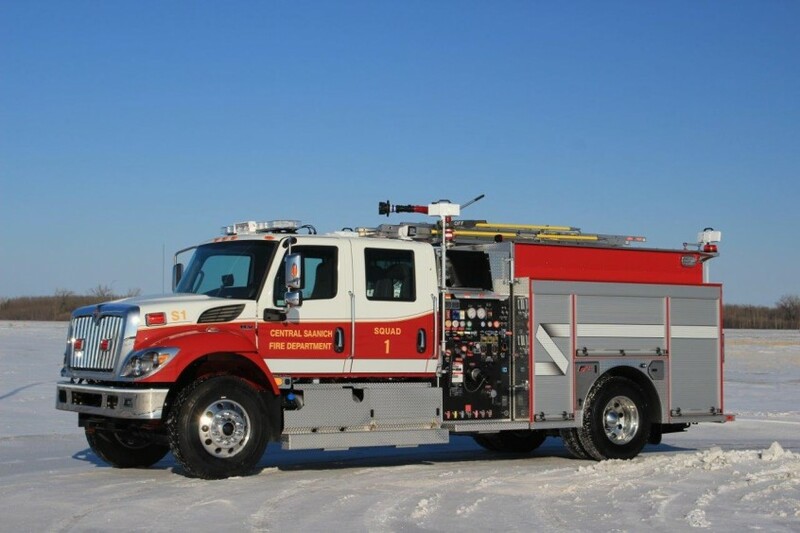 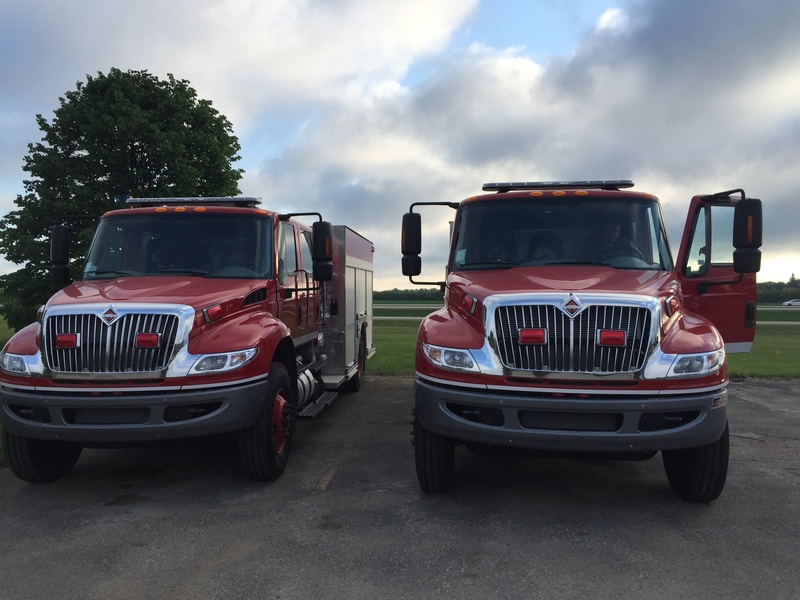 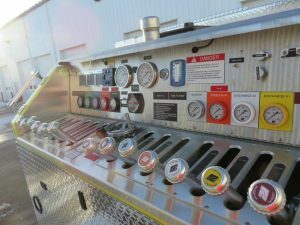 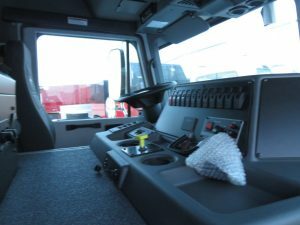 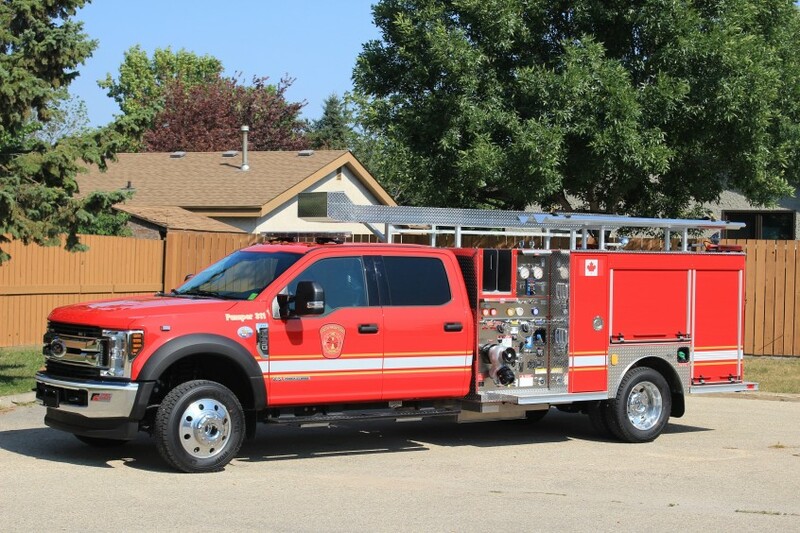 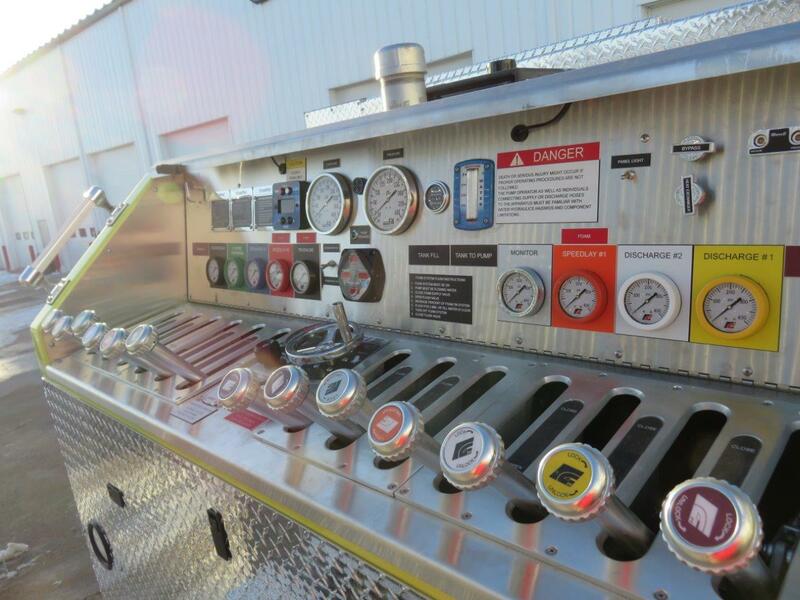 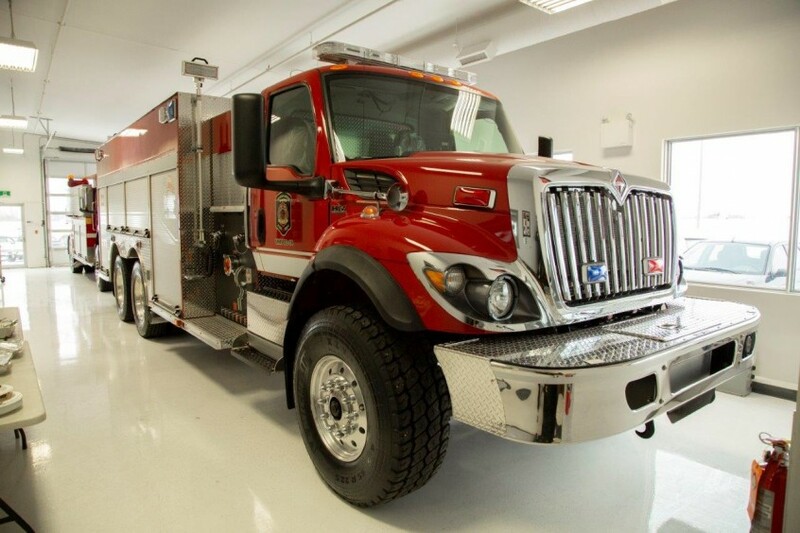 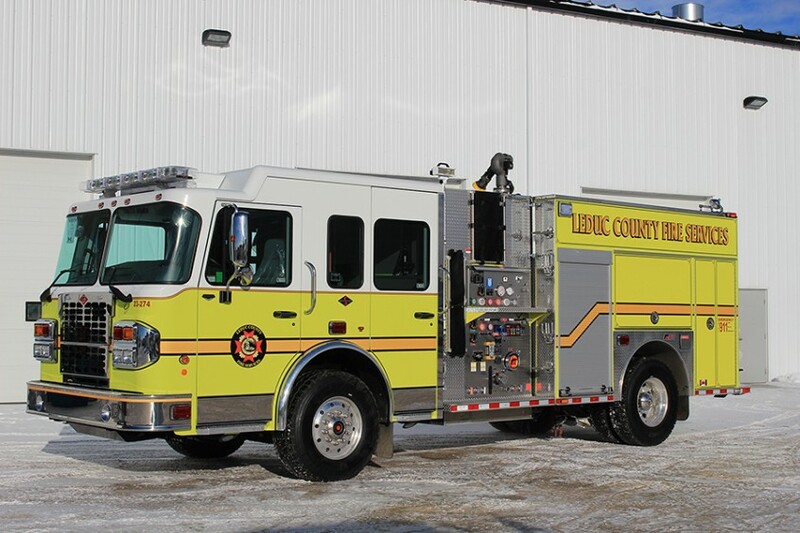 The Leduc County pumper configuration now encompasses fourteen (14) trucks built by Fort Garry Fire Trucks. 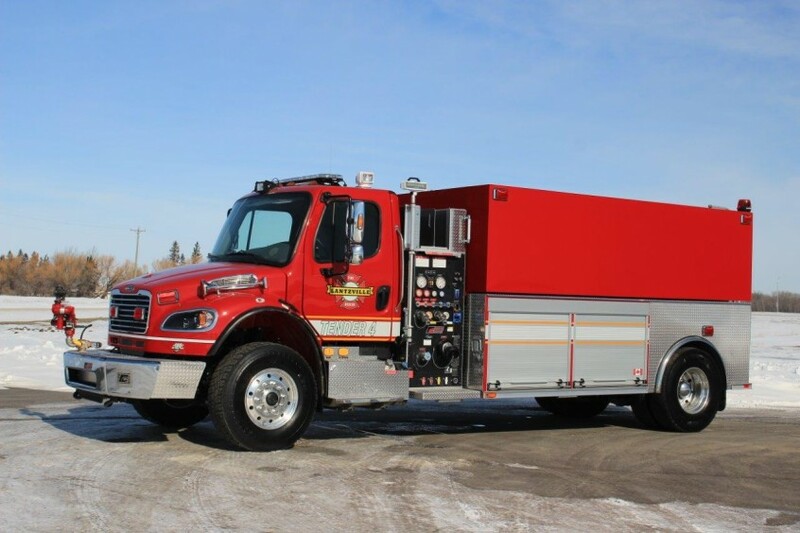 FGFT would sincerely like to thank Cold Lake for this purchase. 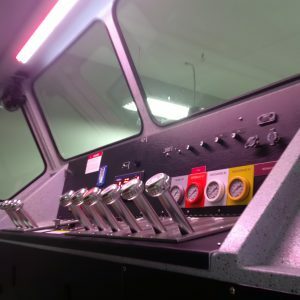 It was truly wonderful working with all of you. 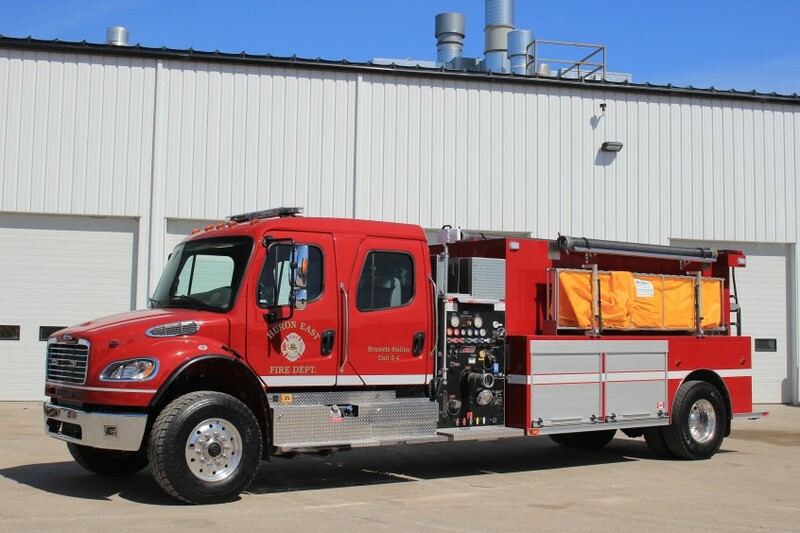 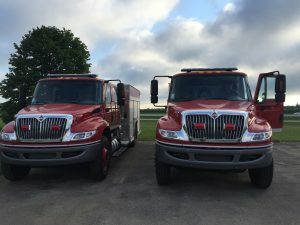 Features: Foam Pro 2002 Class A, Side Control Pump House, Coffin Boxes, Painted Amdor Roll Up Doors, Smartpower Hydraulic Generator, Class V 10,000lb Receiver, Command Light, Whelen Lighting Package. 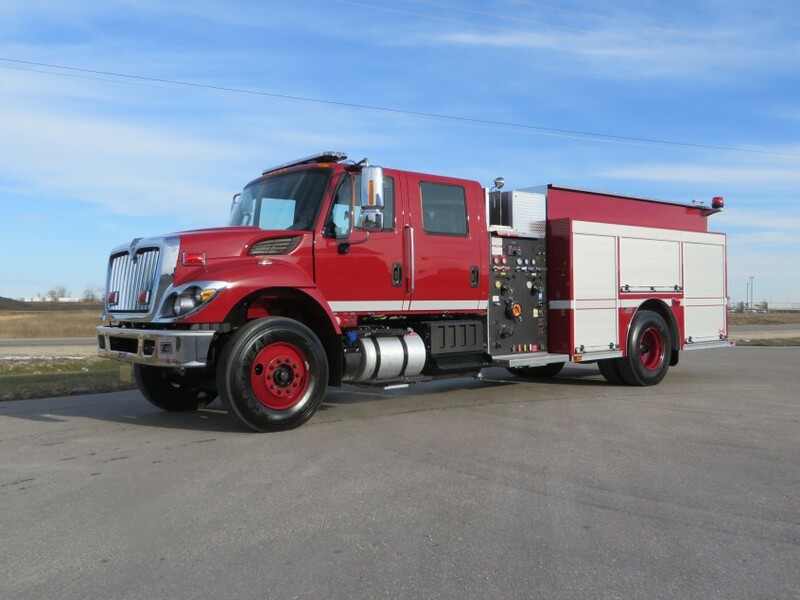 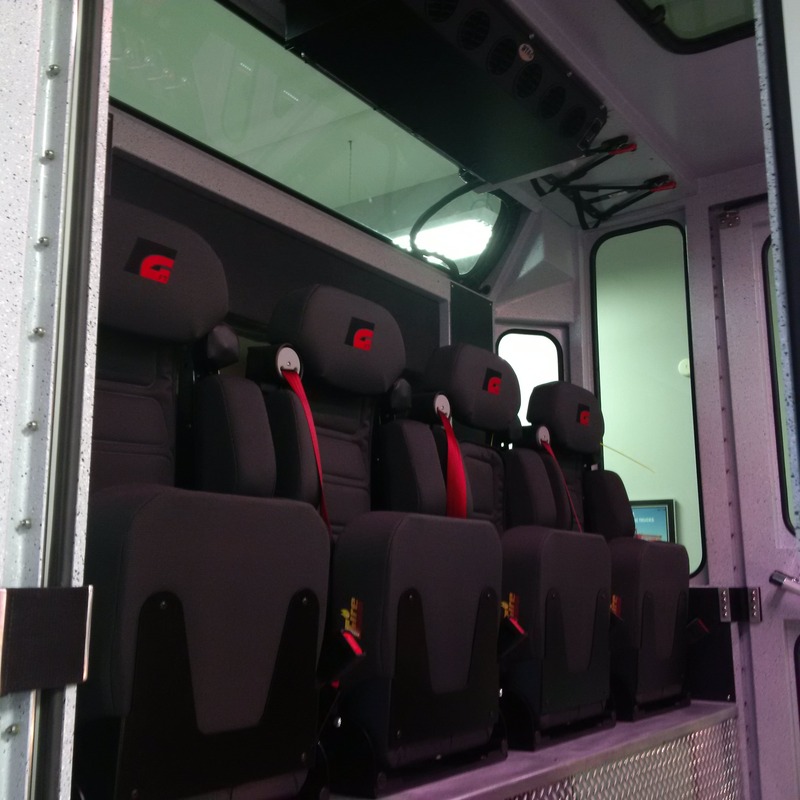 Features: Foam Pro 2001 Class A, Side Control Pump House, TFT XFC-72 Crossfire Monitor, Class V 10,000lb Receiver, Whelen Lighting Package. 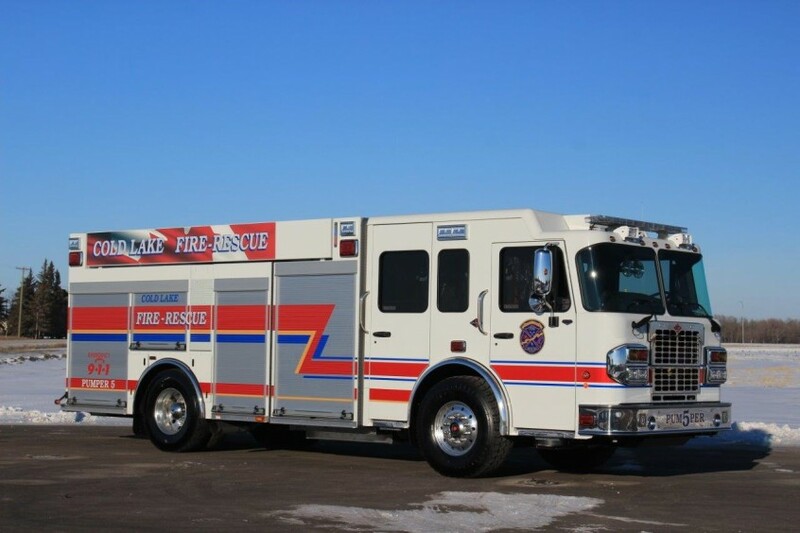 Features: Darley-750 Midship Pump; Foam Pro 1600 Class A Foam System; Suction Hose, Attic Ladder, and Pike Pole Storage; Overhead Ladder Storage.